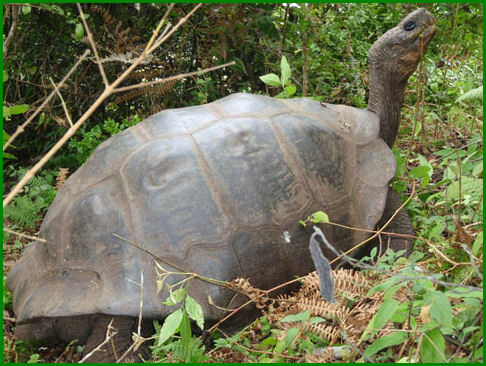 Through a combination of cutting edge genetic research and time-tested field work, scientists have determined that a Galapagos Giant Tortoise species long thought to be extinct in the wild may still be living on the northern end of the island of Isabela, a few hundred kilometers from Floreana, their island of origin. 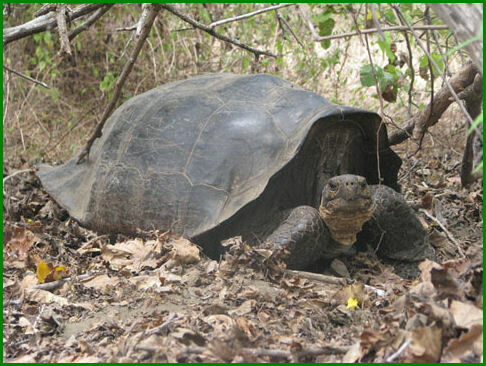 This week a team of scientists from a number of institutions led by researchers in the Ecology and Evolutionary Biology Department at Yale University are reporting new evidence that pure Floreana tortoises (Chelonoidis elephantopus) may still exist on Wolf Volcano on the north end of the island of Isabela. These results, funded in part by Galapagos Conservancy, provide great hope for recovery of this species, thought to be extinct for nearly 150 years. Having previously found a small number of hybrid tortoises on Wolf Volcano, scientists returned in December 2008 to obtain blood samples from a total of 1669 individuals, approximately 20% of the estimated current tortoise population. Results reported this week indicate that 84 tortoises were found whose DNA show that they resulted from hybridization events involving a pure Floreana tortoise as one of their immediate parents. Thirty of the 84 tortoises were determined to be less than 15 years old – indicating that the likelihood of pure Floreana tortoises still roaming the slopes of Wolf Volcano is quite high. Historical records indicate that tortoises were often moved between islands by whalers and other visitors to Galapagos in the 18th and 19th centuries, and many ended up on Wolf Volcano. These historical records provide an explanation for the unusually wide range of tortoise types found there — a population mix that would not be expected to occur naturally. a species native to Floreana Island some 200 miles south of Wolf Volcano on northern Isabela. Until recently, C. elephantopus was thought to be extinct. of C. elephantopus must still be alive on Isabela.